Picasso & The Masters of 20th Century Printmaking, in the Main Gallery. This exhibition is a deep dive into the fine art of printmaking as exemplified by Pablo Picasso and the modern masters of the 20th century. The show walks the viewer through the primary printmaking techniques from lithography, mezzotint, engraving and woodcuts to linocuts, pochoirs, and carborundum etching with interactive demonstrations. 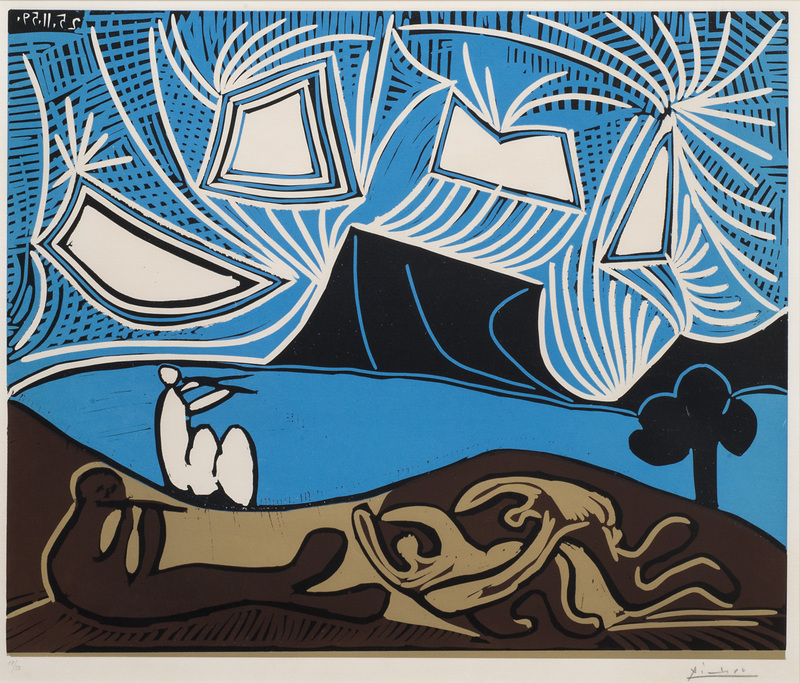 The show features 50 plus rare and iconic prints by Picasso, Chagall, Miro, Dali, Matisse, Braque, Matta, and Motherwell. Opening Day Ribbon Cutting on April 13, 2019 at 11 am will include Picasso-inspired face painting by Nimbus Arts, and other fun activities for families; regular admission prices apply; tickets on sale at the Museum on the day of the event. Opening Night Celebration on April 13, 2019 at 5 pm includes wine and light bites, plus a talk by the exhibition curator. It will also include an auction of a lithograph generously donated by San Francisco’s Weinstein Gallery. Museum Open Wednesdays through Sundays only.